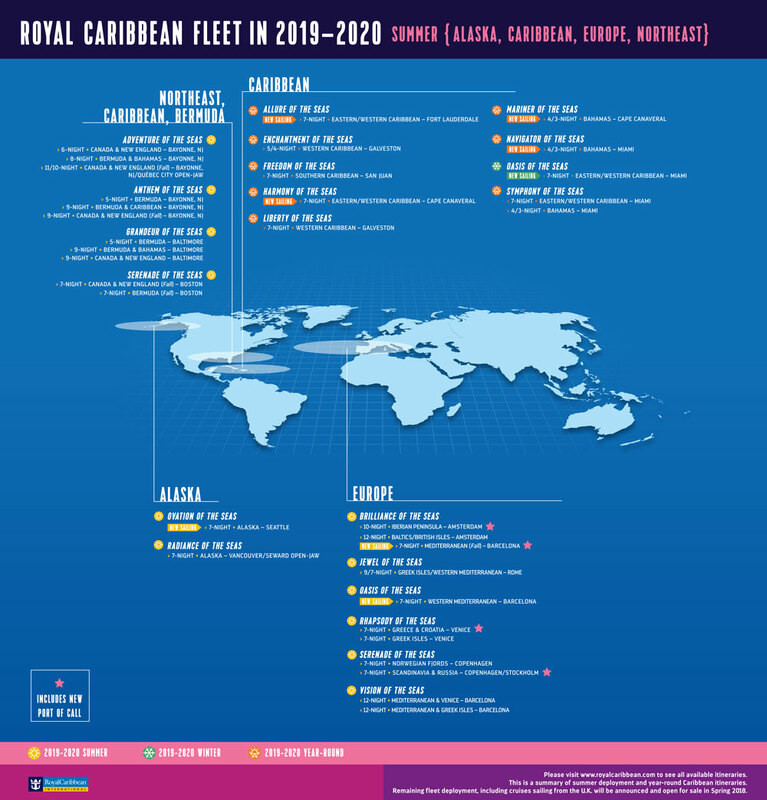 Royal Caribbean has announced some major cruise ship deployment changes for the 2019-2020 cruising season and offering more itinerary options. Royal Caribbean is changing the game and shaking up some cruise ship deployments with new itinerary offerings across the world in the Carribean, Alaska and Europe. Highlights include Ovation of the Seas moving to Alaska, shorter Caribbean sailings and new European port of calls. Ovation of the Seas is based down under in Australia but for the first time ever a Quantum-class vessel will be deployed in Alaska. Ovation of the Seas moves to Seattle, Washington for the 2019 summer season offering 7-night cruises. The innovative cruise ship will offer an immense experience in the region and guests won’t just enjoy the stunning icy views but also the features onboard. 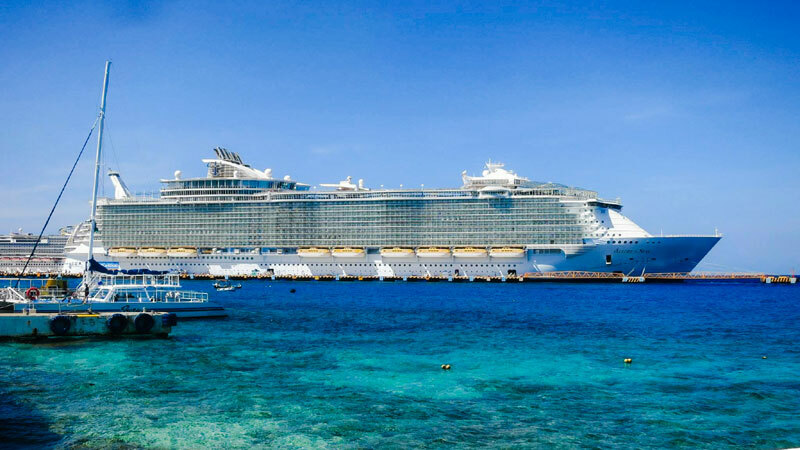 Mariner of the Seas and Navigator of the Seas will offer shorter Caribbean itineraries with families in mind. The Voyager-class vessels will sail 3-night and 4-night cruises to the Bahamas. Navigator of the Seas will be based out of the new Royal Caribean cruise terminal A at PortMiami and Mariner of the Seas will be based out of Port Canaveral. Enchantment of the Seas will also sail short 4-night and 5-night Caribbean cruises from Galveston, Texas. All four Oasis-class cruise ships will offer cruises out of Florida from 2019 through April 2020. These ships include Oasis of the Seas, Allure of the Seas, Harmony of the Seas and the yet to be completed Symphony of the Seas. Oasis of the Seas will be based out of the new Royal Caribbean terminal in Miami during the fall and winter season. Oasis of the Seas will also undergo a major dry dock before its new deployment. Symphony of the Seas which enters service in Spring 2018 will be based in Port Miami too. The Allure of the Seas will return to offer cruises from Port Everglades, Florida and Harmony of the Seas will be based from Port Canaveral. Royal Caribbean is also shaking up Europe for the future deployments. The new ports will be Visby, Sweden; Zadar, Croatia, Portofino on the Italian Rivera; and Porto, Portugal. For the first time since 2014, Oasis of the Seas will spend the summer season in Europe, sailing from Barcelona, Spain. The large Royal Caribbean cruise ship will offer 7-night cruises calling at Palma de Mallorca, Spain; Marseille, France; and Florence, Rome and Naples, Italy. As always do check the Royal Caribbean site for all the details on new deployments. The cruise line has detailed the new offerings through May 2020. Cruise Hive readers can also browse the top 10 Royal Caribbean cruise deals which include ship itineraries and booking options.